Robert Lewandowski has hailed the psychological impact Jurgen Klopp had on him as a player, ahead of their reunion in Liverpool’s clash with Bayern Munich. The Pole has long been considered one of the best strikers in world football, but it wasn’t until he joined Klopp’s Borussia Dortmund in 2010 that his reputation was cemented. After a slow start in Germany, Lewandowski scored 30 goals in 47 games for Dortmund in 2011/12, and has netted at least 25 in every campaign since, going up another level after moving to Bayern in 2014. He will be one of the key threats to the Reds’ Champions League hopes when they take on the Bundesliga giants in the last 16, with the first leg to be played at Anfield on February 19. And speaking before that meeting, Lewandowski highlighted an interesting aspect of Klopp’s management that pushed him towards world-class status. “He was a coach who also had a very big influence on my career and I can only be thankful to him,” he said. 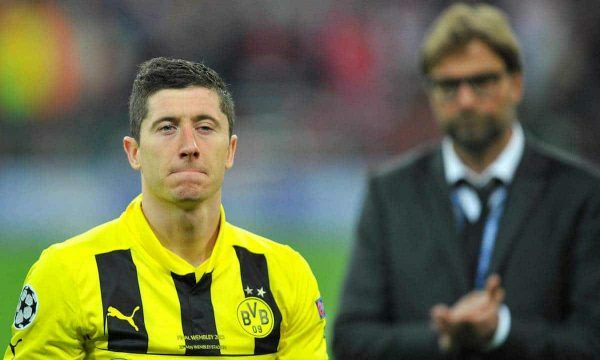 “What we did together at Dortmund and the progress we made has brought us to where we are. “I’m delighted I was able to get to know such a coach and such a person as Jurgen because he’s amazing—both as a coach and a person. I learned so much from him and that means a lot. “I think what I learned from him is the belief I could play at the highest level. He had this influence and it helped me take the next step. 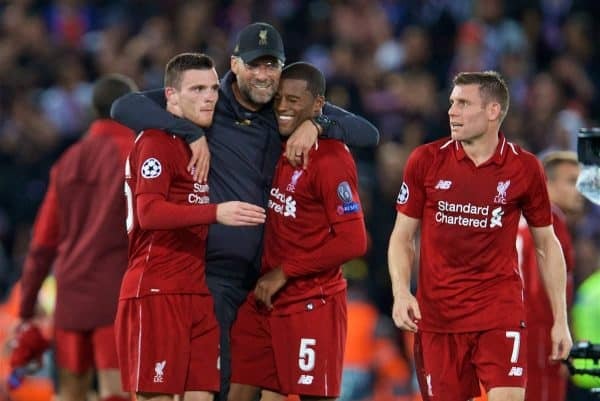 Renowned for his man-management, this has continued to prove relevant at Liverpool, as players who may have been harshly judged either when Klopp arrived or they signed have gone on to shine. Joe Gomez, Andy Robertson, Gini Wijnaldum, Alex Oxlade-Chamberlain, Roberto Firmino, Sadio Mane and Mohamed Salah all arguably fit into this category. And as Lewandowski continued to praise his former manager, he explained how he is suited to leading a side full of young talent. “I know all too well what his body language is and how he can really motivate the team,” the striker added. “That’s the next point that I learned from Jurgen: seeing how he impacted on the team, his team talks and also his body language. “He makes you alert and willing to do more. He lives like one of us, one of the players, and is 100 percent motivated. Given the injuries in his squad heading into the first leg, along with suspension for Virgil van Dijk, Klopp may be required to turn to youngsters and fringe players against Bayern. The hope will be can inspire them like he did Lewandowski—and that his old No. 9 doesn’t come back to haunt him.